Salad Bars - G.A. 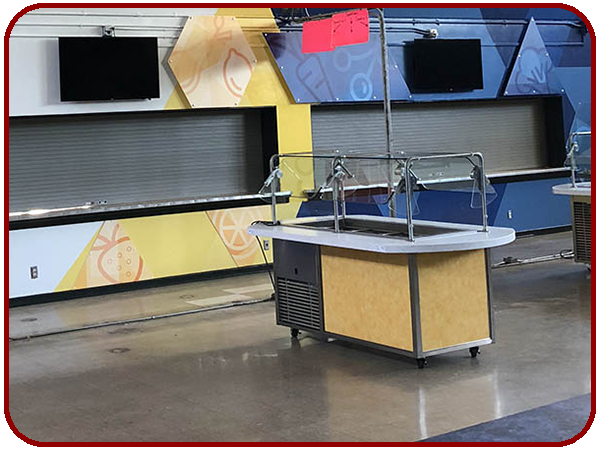 Systems, Inc.
Our Salad Bars feature recessed well which allow cold air to flow over food, keep food evenly held at required temperatures without the need for messy stirring and possible code violations. Salad Bars are also available in Ice Pan varieties which require no electricity and hold food products cold with the use of ice packs or loose ice. Salad Bar Drop Ins are available for your existing counter top or start from scratch with our self contained Salad Bar Cabinet solution. 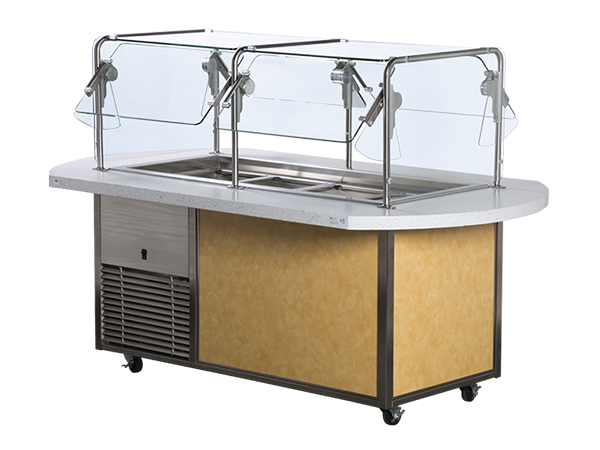 Ice Pan Salad Bar are not mechanically cooled, they require no electricity and hold food products cold with use of ice packs or loose ice.The food well is one piece fully welded design with coved corners with a center drain and is easy to clean. Mobile for additional flexibility and endless options of accessories to choose from will assure that you will receive the ice pan salad bar that will look fabulous and fit within your space. Choose from our accessories: Single Sided Sneeze guards, Double Sided Sneeze Guards, Tray Slides and Pan Adapters and design your ice pan salad bar to fit your menu, space and serving style. No matter what you are serving, the Ice Pan Salad Bar Cabinets easy portability, high reliability and lifetime durability make Ice Pan Salad Bar Cabinets the equipment of the future – here today! Our Salad Bars feature recessed well which allow cold air to flow over food, keep food evenly held at required temperatures. Salad Bars are also available in Ice Pan varieties which require no electricity and hold food products cold with the use of ice packs or loose ice. Salad Bar Drop Ins are available for your existing counter top or start from scratch with our self-contained Salad Bar Cabinet solution. 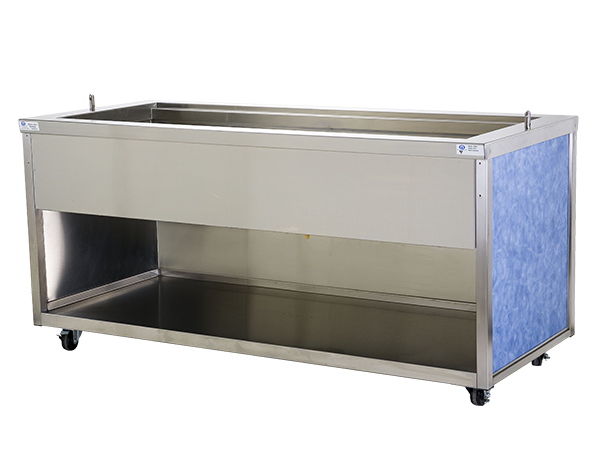 Ice Pan Salad Bar are not mechanically cooled, they require no electricity and hold food products cold with use of ice packs or loose ice. The food well is one piece fully welded design with coved corners with a center drain and is easy to clean. Mobile for additional flexibility and endless options of accessories to choose from will assure that you will receive the ice pan salad bar that will look fabulous and fit within your space. Remember to order your accessories with your salad bar to meet your serving style: Single Sided Sneeze guards, Double Sided Sneeze Guards, Tray Slides and Pan Adapters! Our stainless steel fabricated rail on the top of our cabinets the front and back edges are turned down 102°. This eliminates the gap between the top and the cabinet body. All G.A. Systems cabinets are mobile thanks to our swivel non-making casters with brakes. Adjustable sneeze guards, tray slides, pan adapters, decor art panels, lamps and signage can enhance the appearance of your salad bar and promote your brand.